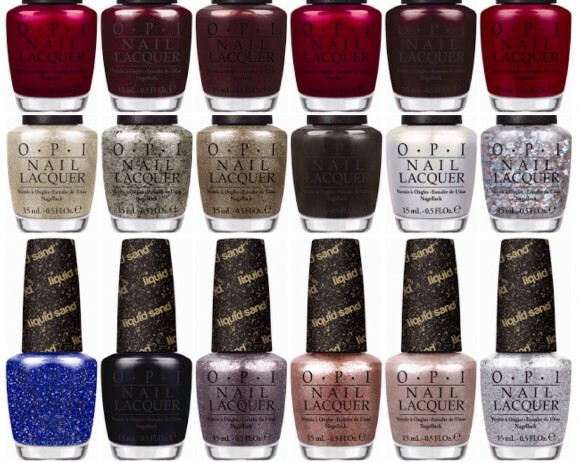 This year, OPI has some fun gift sets to help you shop for the women on your list. There is also a new, limited edition collection that has so many different colours and textures that you are sure to find at least one that will jingle your bells. This two-lacquer gift set features two soft shades (Alpine Snow and Sweet Heart) which are great for nail art. My shout out to our winter. I used Alpine Snow from this collection to make the snow on my nails. I also used a soft sparkle colour on the ground snow for more effect. This gift set duo also comes with a metallic cosmetic bag with a bow decal and retails for $19.95. OPI announces the launch of 18 new limited edition holiday nail lacquers inspired by recording artist and international superstar Mariah Carey. This seasonal promotion includes an assortment of red, burgundy, maroon and chocolate brown hues, along with glitter-packed gold, bronze and pearl shades. 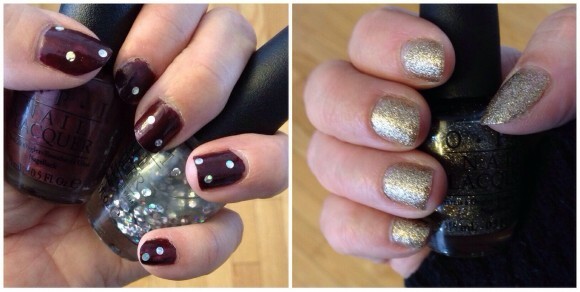 Mariah Carey Holiday also features six new Liquid Sand lacquers. “Mariah Carey is truly synonomous with the holiday season,” says Suzi Weiss- Fischmann, OPI Executive VP & Artistic Director. “People around the world listen to her festive, iconic songs – ‘All I Want for Christmas is You’ is a personal favorite – and these 18 lacquers evoke the warmth, beauty, energy and positive spirit that’s present in Mariah’s music.